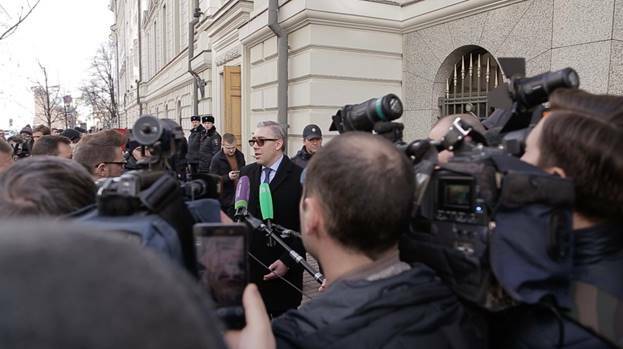 Spokesman for Jehovah’s Witnesses in Russia, Yaroslav Sivulskiy, speaks to reporters outside of the Russian Supreme Court. Courtesy of Jehovah’s Witnesses. 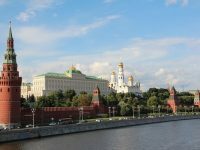 Latest decision on Jehovah’s Witnesses in Russia is yet another blow to the religious organization. Russia’s news agency is reporting the city court of Birobidzhan’s decision to ban Jehovah’s Witnesses will be upheld. A Justice Ministry suit is working to ban the Jehovah’s Witness religion entirely. 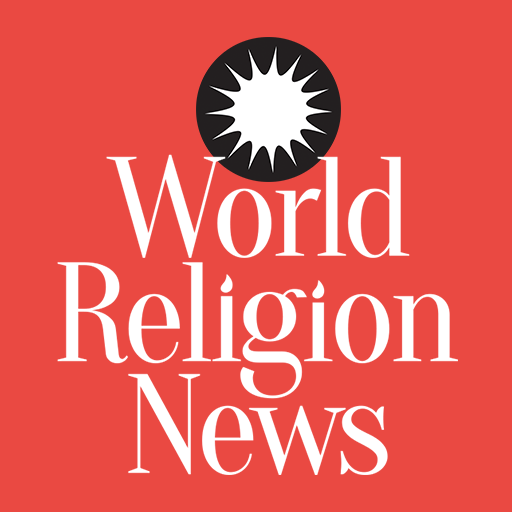 Over 170,000 Jehovah’s Witnesses are located in Russia. The Justice Ministry alleges that their religious activities are in violation of Russian law and fighting extremism. 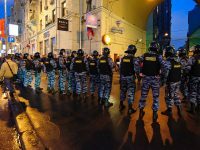 The Russian government, under the authority of their extremism law, has harassed the religious group. The extremism law does not require the existence of violence for any activity to banned as extremist. 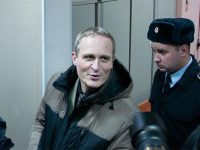 In a second day of proceedings, the Supreme Court of the Russian Federation continued to consider a claim from the Ministry of Justice to liquidate the Administrative Center of Jehovah’s Witnesses in Russia. The day concluded with a recess until Friday, April 7, 2017, at 10:00 a.m.
During the session, the Supreme Court judge and lawyers for Jehovah’s Witnesses were able to question the representative for the Ministry of Justice, asking him to produce proof that Jehovah’s Witnesses are extremist—the basis of the claim. The Ministry of Justice was unable to provide evidence supporting their claims, such as that they fail to take effective measures against extremism. The Ministry of Justice also could not substantiate accusations regarding the Witness’ literature. For example, it was established that the Witnesses’ literature prohibited in Russia had not been distributed in the country for years, and among forensic experts, there was not a consensus that their literature should be considered extremist. The Ministry could not prove that offenses had ever been committed under the influence of the Witness’ literature.